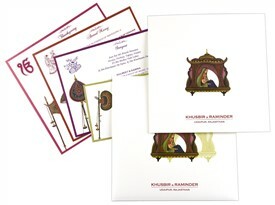 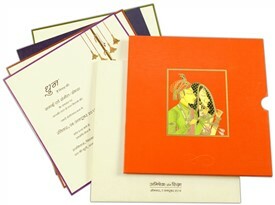 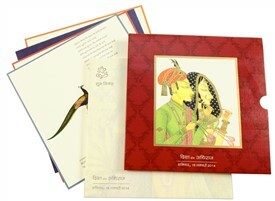 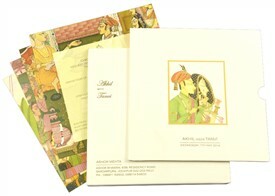 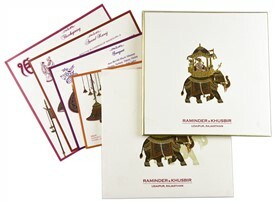 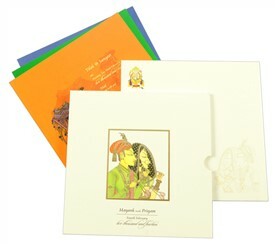 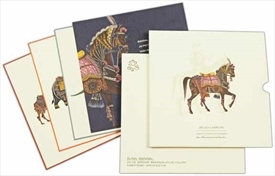 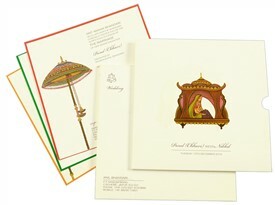 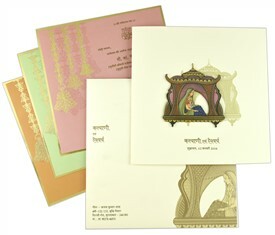 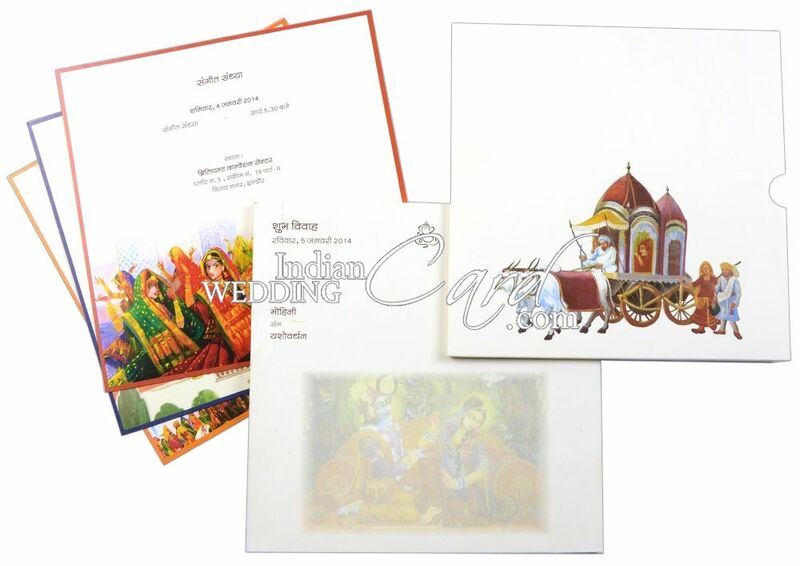 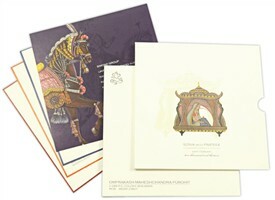 D-6304, White Color, Multicolor Offset Cards, Hindu Cards. 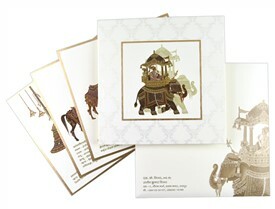 Hardbound thick card with front having Elephant motif. 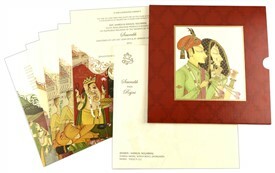 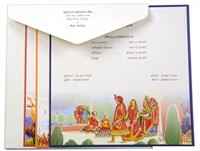 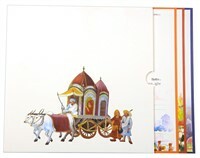 Inserts follow the front theme and has various animal motifs with border all around. 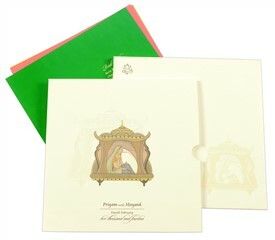 The envelope has multicolor border on front. 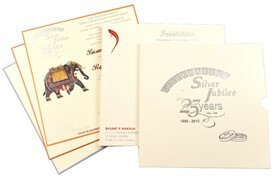 Ivory color self- textured paper (280gsm) for hardbound thick card, 3 inserts and mailing box envelope.